Some aspects of bladder cancer can be hard to discuss out in the open. You might worry about revealing too much on social media in case people from your personal life come across your activity. But you still want to connect with others who have been through bladder cancer to get support and information! At BladderCancer.net, there’s a way around this. 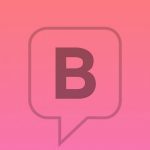 Creating an anonymous username on BladderCancer.net is the best way to engage with the bladder cancer community without revealing your identity. Check out the instructions below to find out more about how to participate in the community. Choose a username that does not use your first and last name, or any nicknames that might easily identify you. Enter your email address. Your email will not be visible to other users on BladderCancer.net. Your email will be used to login to your account and receive your BladderCancer.net weekly newsletter. There are several places to participate while maintaining your privacy here on BladderCancer.net. Visit the forums to start your own discussion or participate in one that’s already been started. Get answers from the community by asking an anonymous question. Write an anonymous story to share what you’re going through with the community. Our contributor team at BladderCancer.net writes so many relatable articles about life with bladder cancer. If an article strikes a chord with you, you can feel free to comment and share your thoughts knowing that only your anonymous username will be shown. There are so many ways to participate while feeling confident that your activity will be completely private. Here are a few articles to help you get started. Thanks for being part of our community!